Imagine Accounting have supported The Yoga Foundation since its inception in 2009. The work we do for them is pro bono, enabling The Yoga Foundation to focus on bringing the benefits of yoga to disadvantaged people. 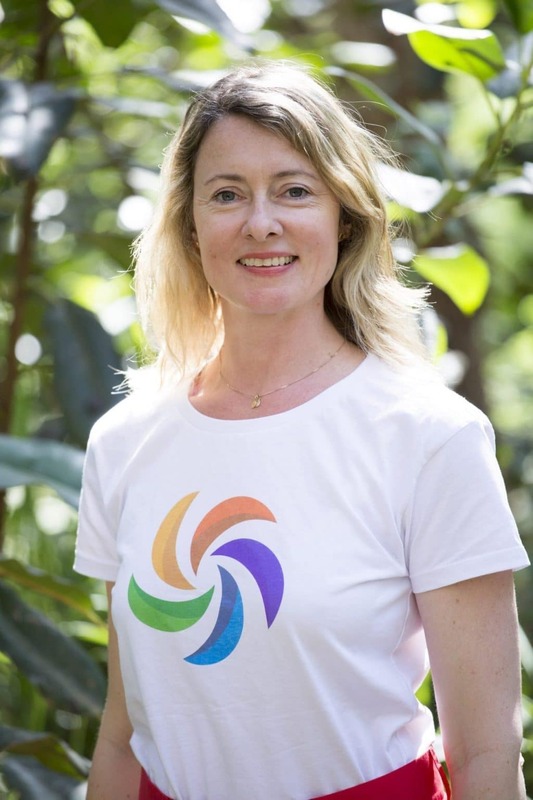 We spoke to Jessica Hobson, General Manager of The Yoga Foundation to gain an insight into how they are transforming lives. 1. Why was The Yoga Foundation founded? The Yoga Foundation was founded in 2009 in response to the recognition that yoga was growing in popularity but for a certain demographic. We wanted to provide yoga to groups of people unable to access it. Access can be challenged by a range of reasons such as mental illness, physical limitations and social isolation, and we wanted to remove all obstacles and enable people to experience the benefits of yoga. We focus on mental wellbeing and reducing the symptoms of anxiety and depression. 2. What does the business do? The Yoga Foundation designs and delivers evidence based yoga programs to people experiencing disadvantage and mental health challenges. We operate an outreach model, partnering with other NGOs, service providers or government agencies to bring yoga directly to their clients. Our work takes us into prisons, psychiatric wards and a range of venues where people in need are looked after. As well as delivering a quality service The Yoga Foundation is committed to the development of an evidence base for the benefits of yoga amongst various cohorts. We partner with research teams at universities to collaborate on research projects and more deeply explore the impact of yoga. 3. How can people better educate themselves on mental illness? There is an increasing amount of resources and support from many great organisations and a good starting point can be visiting the website of Beyond Blue or The Black Dog. Mental illness is complex and people with the same diagnosed mood disorder may have very different responses to it. The growing number of well designed studies into the health benefits of yoga show that it is safe, useful and very cost effective in managing a wider range of conditions and life stages. Our job is to ensure yoga is available to people who want to try it so they have the chance to experience it and understand more about the rich relationship between brain and body. 4. How has Imagine Accounting helped you along the way? Peter Caunt and the team at Imagine Accounting have supported The Yoga Foundation since its inception in 2009. The work Imagine Accounting do for us is Pro Bono. In fact Peter Caunt, Senior Director at Imagine Accounting was one of the founding members of The Yoga Foundation. I met Peter when he was on the board of the Foundation. The team have made the effort to really understand our work, requirements and priorities: they are quick to respond to our needs, questions and requests and very passionate about excellent customer service. Their high standard of work enables The Yoga Foundation team to focus on bringing more yoga to more people in need. Financial transparency and high governance standards are absolutely critical and Imagine Accounting has consistently supported The Yoga Foundation in this capacity. 5. One of the best lessons you’ve learnt about the financial/ accounting side of business? It is key! If you can get the financial side right you have the best chance of managing a successful, growing charity that will be able to pursue its charitable purpose effectively. Do not underestimate its importance to the success of your organisation. 6. Finally, how can people get involved with The Yoga Foundation if they want to help a fantastic cause? We welcome volunteer support at all levels and capacities. We rely on volunteers to help us deliver our vision and often need help in key areas such as marketing, investment accounting, business administration, evaluation and research. People can also become a Friend of the Foundation which is a great way of supporting our vision or donate here.